​Panglao, Bohol is one of the towns on Panglao Island. The town also includes the islands of Balicasag (which is a renowned dive spot), Pungtud and Gak-ang. It is a great dive spot for beginners since reefs on the southern part of the island are shallow. 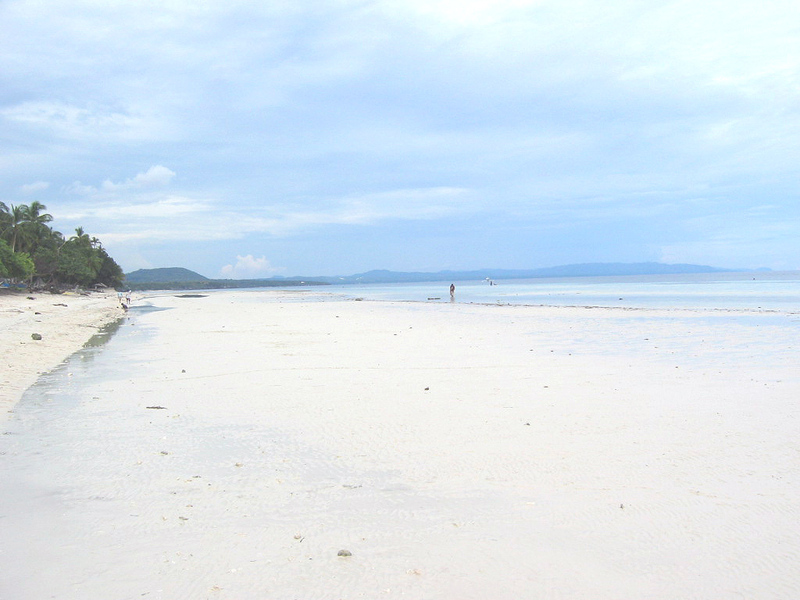 Its stretch of beach include Alona, Doljo, Danao, Momo, Bagobo and Bolod. The area has a lot of choices when it comes to accommodation, just like Boracay. You can stay in Panglao while exploring other areas in Bohol since other attractions, like Chocolate Hills, the Philippine Tarsier and Wildlife Santuary in Corella, Bohol and the river cruise in Loboc, Bohol are just a couple of hours from Panglao. (You can explore Bohol on your own on a motorbike or scooter, with a guide, or a packaged tour.) Complimenting the various hotels and resorts are bars and restaurants for those who want to sample the fare offered by other establishments. Aside from the beach, Panglao also has a neglected watchtower that is made of cut stones formed octagonally. Near it is the St. Augustine Church which was built sometime in the late 19th century. It was completed in 1920. Paintings adorn its ceiling and mosaic tiles are used for its floor. Balicasag Island is a flat landscape fringed with palm trees and bougainvillea. There's no need to go to the Caribbean to live, even momentarily, in a tropical paradise. Besides, it's much cheaper and only a few minutes away from the capital and its seaport and airport. 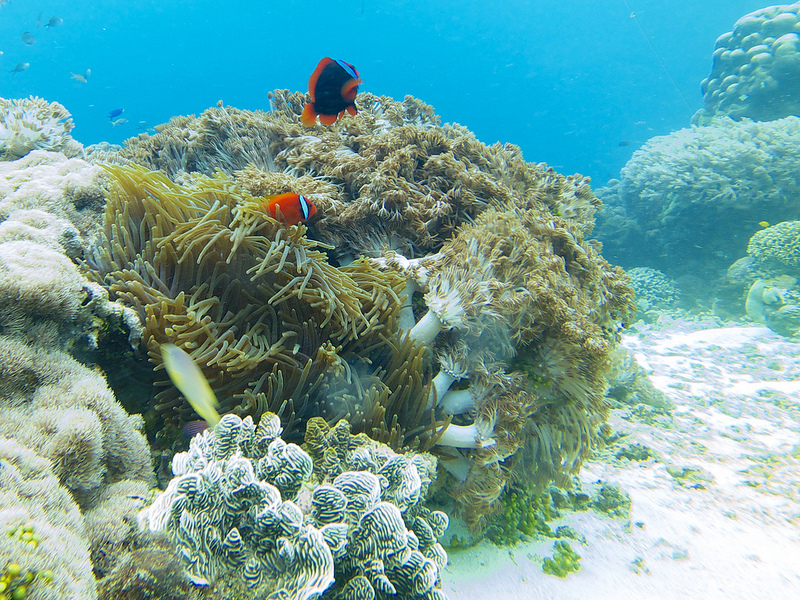 Being a marine sanctuary, it is inhabited by corals, butterfly fishes, barracudas, napoleon, jackfish, snappers, tuna, mackerel, frogfish, banded shrimps and batfish. The reefs surrounding the island have been designated as Black Forest, Diver's Haven, the Cathedral, and the sanctuary. Black Forest is so named because of the abundance of black corals in the area. The site is good for drift diving since it has medium to strong currents. On the other hand, the Cathedral has the grandiosity of sea fans, whip corals and soft corals. Its "parishioners" comprise of turtles, pufferfish and triggerfish. Meanwhile, Diver's Haven drops to about 40 m where you can associate with angelfishes, scorpionfishes and anglerfishes.